Despite the ability to easily conduct business remotely - from collaboration platforms and video conferences to e-signature software and social media networking - global business travel spend continues to grow. In fact, the GBTA Foundation predicts global business travel spend to advance 5.8 percent on average over the next five years reaching $1.6 trillion in 2020. Anyone who regularly travels for business, however, can tell you it's an industry ripe for innovation to improve the experiences of travelers including airlines' websites (some of which still aren't mobile), personalized offers and more self-service options (like accessing past trips). 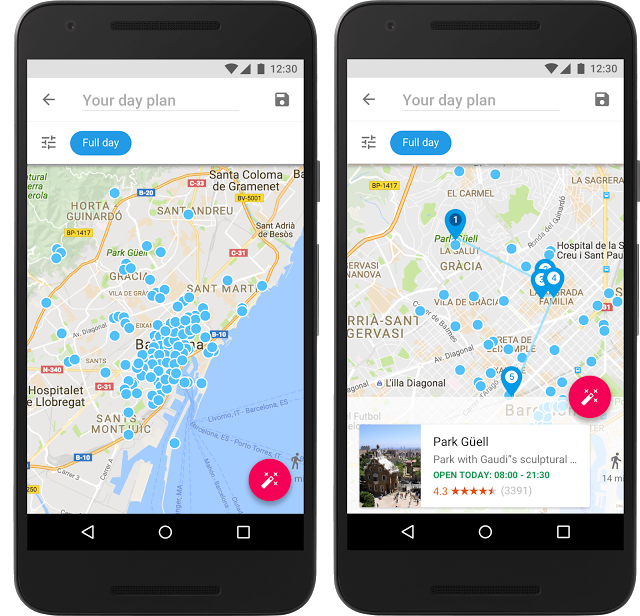 Google - the experience police in search - has announced the launch of a new mobile app to help travelers plan each day of their trips. While aimed at consumers, Google Trips has the potential to improve the business traveling experience in a variety of ways. For starters, Google Trips will house current and future flight, hotel, car and dinner reservations - by pulling the info automatically from gmail (which could be a problem if it's information stored in Outlook, for example). Users can access all this material without Wi-Fi though, so this might be the time for a company's booking agent to use travelers' gmail address to copy itineraries to (if they are not confidential plans). What a business traveler may find particularly useful is that the app accesses location data and pulls recommendations for the top spots to visit in the area. A person who finds a break within their day or is looking to find a location to meet a prospective client simply pins the places they are interested in (as well as when they can go) to build out a plan for their morning, day or night - depending on their availability. The best chance for a company - that is not a well-known attraction - to be included within the results is likely very familiar to what it takes to rank locally. Restaurants, hotels, parks, museums and the like should enter complete data within Google My Business, verify their location(s), keep hours accurate, manage and respond to reviews, add photos and optimize their site for mobile users since Google penalizes non-mobile friendly sites as will the users themselves (with bounces if they go to the site for more info to base their decision) since they will, of course, being using Android or iOS devices.